Backridge Ammunition is a new start-up company run by former military personnel. This company is producing some mighty fine non-toxic waterfowl loads that carry an affordable price tag. This stuff is going to make a lot of heads turn. 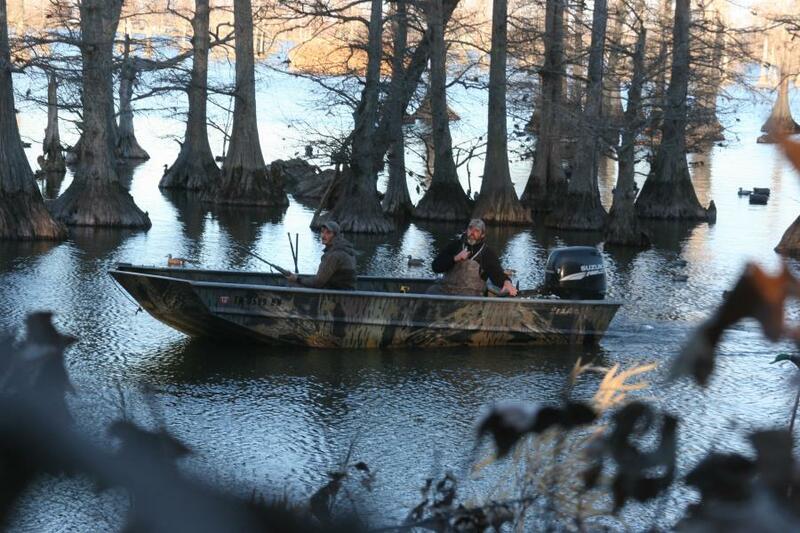 We are off in one of the high-powered boats the Backridge crew used on Reelfoot Lake. This place is known for its quality and quantity of waterfowl hunting. Hunters come from all across the country to be able to take some ducks off this beautiful lake. Major Adam Ziegler, the top dog at Backridge Ammunition, enjoying some of the fruits of his efforts. Major Ziegler was with the 101st Airborne until a malfunctioning parachute sent him home. He now commands the efforts of a unique company that turns out great load for ducks and geese. Reelfoot Lake in Tennessee allowed us some outstanding opportunities to fully test the non-toxic ITX shot on live targets. This lake is studded with beautiful areas like this. The crew on this adventure included cameramen, engineers, writers and me. I felt very safe with all the combined combat experience of these men. Test and evaluation hunts covering new products come in many packages, but in this case some former U.S. Army combat vets out of the 101st Airborne and active Special Operations soldiers helped take a brand new non-toxic shot type for 2018 to the wall, or better said, to the lake for testing. I have been just about everyplace on the planet when it comes to testing a new rifle cartridge or shotshell for sporting use. This time, however, I was taken totally aback when my contact driver from the airport, Sgt. Robert Craigo, a retired chopper crew chief, rolled up on a small backcountry wood-frame building that currently houses a new ammo company called Backridge Ammunition. At that point while on hold for the company CEO, Major Adam Ziegler, Robert took me for a grand tour of the manufacturing facility. Using a series of hydraulic press systems and a larger header system obtained from my old friend in the load development business Jay Menefee at Polywad Inc., the operation resembled many others in the start-up phase that I have cut track with during my 50+ years in the load development business. Backridge Ammunition was the brainchild of Major Adam Ziegler, an officer in the 101st. With 18 years of service and a pile of operation time in the Middle East conflict, the Major suffered a malfunction during a parachute training jump which sent him hard into the ground. As such, Adam found he had some time on his hands. It was at this point during some massive rehab the idea of building a new non-toxic type of duck and goose load came to mind. Working with a tight budget in terms of financing a start-up company, the old warhorse caught the attention of the folks at Continuous Metal Technology. Here, at this powder metals company, the primary project in non-toxic ammunition development was the manufacturing of ITX shot, which is a combination of tungsten iron and a binding agent so as to make it both heavy and simultaneously easy on gun barrels and choke systems. There were a couple of things the Major was observing in terms of existing non-toxic ammunition that was making use of tungsten-based pellets. The first was the super-high cost of each shotshell, and the second was the fact most of these loads require almost armor-plated delivery systems so as not to cut the bore of a shotgun to pieces. Getting a handle on these issues was a good first step in coming up with a more workable solution in designer-type tungsten shotshell ammo that more hunters could afford. It was a white farmhouse in the middle of No Place, USA. We were about two hours out of Reelfoot Lake, TN, and the camp was made up of all military Special Forces and other classified operations soldiers who almost never have time to live like normal folks. These guys are on the hotline 24/7 and, as such, when they want to hunt or fish, getting time to arrange an outdoor event is almost impossible. The outfit running the camp goes by Special Operation Excursions. No name on the door and no general phone number to call — it just has to be that way. Over the past year alone, over 350 soldiers and their families have come through the doors of this amazing outfit. Special ops chopper drivers, gunners, snipers and small-team insertion members were the meat of the Major's new ammo test project. To my way of thinking, there were no better men in the world to check out a new product and then give an honest opinion of its performance level than of these specialized warfighters. For the next three days, I was up late talking ballistics and guns with these professional soldiers, then again up very early, load up and make transport to Reelfoot, the home of modern waterfowl hunting in Tennessee. With regard to my position as an outsider, there was never a minute I felt snubbed or pushed aside. Some of the special operators/snipers had read my books on both rifle and shotgun, which to be quite frank, allowed me to walk just a bit taller during my time with them. While some folks have sports heroes, these are my heroes, and we sleep better because of their sacrifice. I was feeling right at home among some of the world’s best hunters. 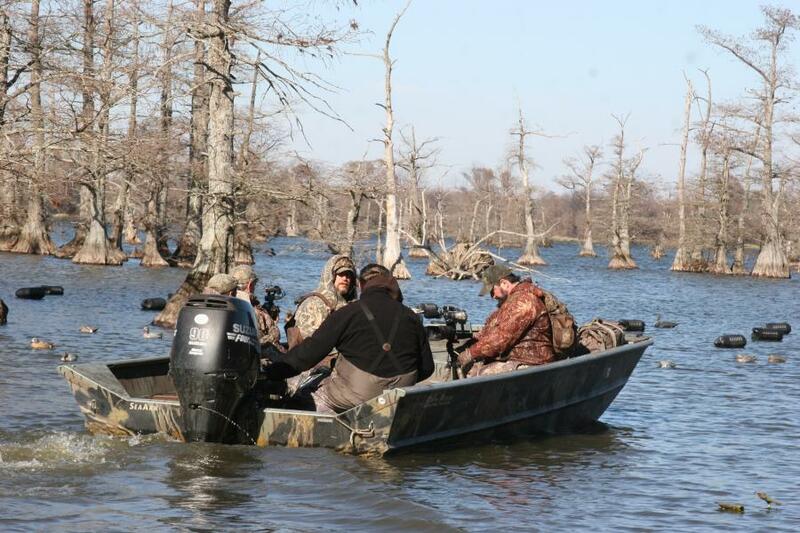 It was time to pack up into the 115-horsepowered super-Jon boats and head for the massive stilt blinds that housed the boats, kitchen and sky-top shooting hatches for each gunner as he looked out over 600 to 800 blocks on the edge of cypress swamp timber. ITX in a #4 pellet, when loaded to a rather soft-shooting velocity ( 1,200 f.p.s. ), will still pack a wallop that needs to be seen firsthand. The shot itself retains a “cutter” surface edge that is the result of a manufacturing process. This Saturn-like ring on each pellet radiates the energy (kinetic) of the individual pellet, causing additional hemorrhage and tissue damage. The first thing I noticed, even on longer-range harvested birds, was the amount of surface blood that came through the feathers. These subjects were wet with blood, and that’s not normal, save for a close-range Bluebill that has been hit hard. 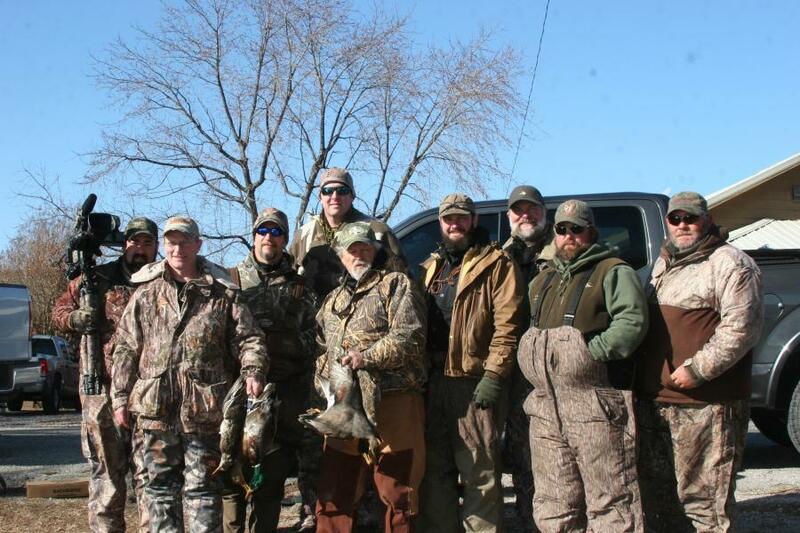 Our birds were for the most part drake Mallards, Gadwall and a few other assorted brands of critter. Running a crush test, the ITX shot has a very low hardness rating. A simple tap with a hammer on a steel plate flattens out the pellet with ease. This means ITX is easy on barrels or chokes, and the old steel shot blues tend to go away quickly. Major Ziegler forwarded detailed photos of ducks after the hunt that illustrated just how lethal the ITX loads were. In the field at Reelfoot, I took both in-close decoying birds as well as some 55+ yard passing birds to gain some insight as to where the #4’s in ITX tended to slow down. The short version is they didn’t slow down much at all. Our longest kill recorded by my Nikon LaserForce system was 56 yards, and the close-range shots averaged about 33 yards. With the extended mass delivered downrange by each pellet, ITX shot can be sent at a lower velocity and produce outstanding patterns. It was obvious the Backridge loads sent payloads in short shot strings and pulverized birds to 40 yards, then proceeded to produce some solid, penetrating kills on longer-range targets as well. Rating the new loads per the damage on ducks and lack of cripples, I would assign this ammunition a very high rating of at least 4.5 out of 5 stars. This shot type is so good I have been considering it as an introduction to my sub-sonic Metro Gun System™ as a retail ammunition offering for my customers. Price is the big deal here. After checking with a number of gun shops and big-box stores, it would seem Backridge ammo is coming in at about half the price for tungsten-based ammunition that produces the downrange effect of this new ITX product. Backridge is not only moving into this advanced and affordable smoothbore ammunition as a standard 12-gauge offering but also developing loads for sub-gauge offerings like the 16, 20 and 28 gauge. At this time, I am in the process of testing 3", 20-gauge ITX loads for turkeys and 28-gauge ITX loads as an upfront point design. Backridge intends to offer custom loading to gun clubs and hunting camps alike. This has started already on a limited basis in the South, and all signs point to the fact this, indeed, is an area of the market that has been left largely untouched. With an effort to keeping costs down, Backridge will offer ITX in a 10 density as well as the 13 density product. According to Major Ziegler, this will allow the company to cut price point further for loads that require a lead or bismuth shot type of downrange performance. The answer here is to build a load that works versus selling the shooter a load that costs more and is far more than is required. That’s a novel idea, to be sure. Buying this shot is difficult right now unless you’re living in the retail sales area of the company down in Tennessee. 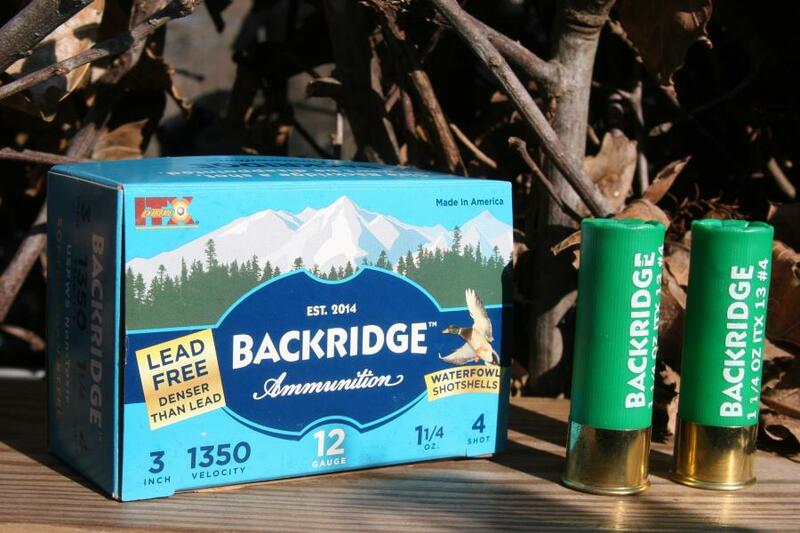 Backridge will ship anyplace via their e-mail address adam@backridgeammunition.com. I have witnessed the new ammo in some of the South’s major gun shops, and it is priced at about $22 per 10 pack in the 12-gauge 3" magnum loads of ITX #4 or #2’s. Other loads under review with regard to price points are being reviewed. The men at Backridge Ammunition have put their lives on the line in service to our country. They now are dedicated to bringing you the performance level you expect from a quality waterfowl load at an affordable price. It looks to me as if they have succeeded. Included here is a computer-generated chart regarding the effect of #4 ITX-13 pellets downrange. Note the maximum effective range of this or any shot is above 600 f.p.s. Less velocity can result in cripples based on about 500 birds harvested in my test program and additional tests performed over some 30 years in the research and development field. Data presented here was based on live-fire testing to 20 yards and at the muzzle measuring the exact velocity produced by the ITX shot. Based on my research and that of SHOT DATA System out of New Brighton, MN, this load at its tested velocity will kill cleanly to 55 yards. 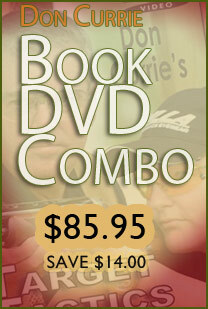 L.P. Brezny has worked in research and development in the shooting industry for 38 years. He developed and marketed the first sub-sonic shotgun and shotshell — The Hastings Metro Gun™ System (www.metrogun.com or 605-787-6321) — and was the first to measure shotshell pellets in real time at target distances, building ballistic tables demonstrating shotshell load performance and chronographing systems that are still in use today. 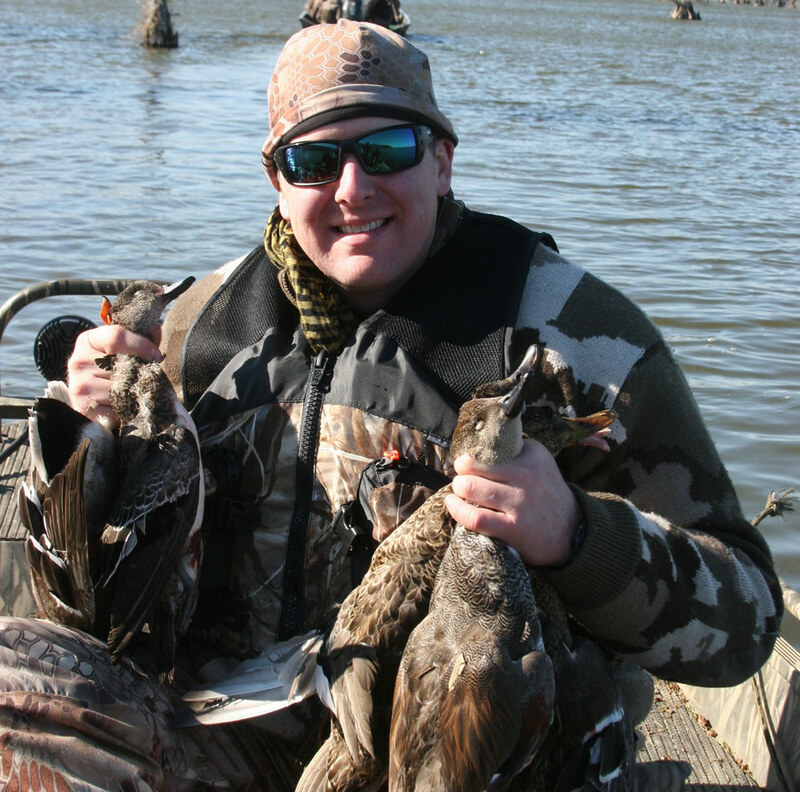 He also developed the Dead Ringer® high-performance waterfowl/upland choke-tube system. L.P. has been writing for various shooting publications for over 33 years.